Russel Black co-founded RBL Basketball in the fall of 1997. Currently, on any given weekend RBL Basketball has approximately one thousand girls and boys playing in leagues and instructional programs in Vancouver. The emphasis of the program is with players kindergarten to grade 7, but RBL also offers leagues and camps for grades 8-10. 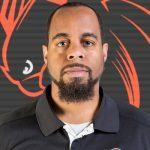 Winston Brown‘s coaching experience is very extensive. From coaching at Kits, Lord Byng from the early 1990’s until 2003 when he joined the York House coaching staff. Became the Tigers Head Coach in 2004 and has led the Tigers to 6 AA BC titles since then (2004, 05, 06, 10, 11, 12). He has also coached countless Basketball BC Regional teams over the years and co-founder the Vancouver club Triple Threat. 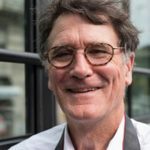 Winston currently teaches English at York House School. Sabrina Chan is a recent graduate of the BCom program at Royal Roads University in Victoria. She is a Churchill alumnus, and has been coaching girls’ basketball since 2005. She has been involved with the RBL Basketball program as an instructor and referee, Strathcona Basketball, Night Hoops, and recently, joined the VGBA Board of Directors. She is an auxiliary employee of City of Vancouver, working at various community centres as a Front Desk admin and special events coordinator. Sabrina has a passion for sports and loves working with kids. 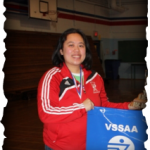 Jennifer Eng returns to Churchill as the current head coach of the Senior Lady Bulldogs for the past few years. She is very grateful to be given the opportunity to work with a number of great athletes and diverse individuals in her community. Jennifer has been recognized by ProMotion Plus with the Bobbie Steen Legacy Foundation Award as an Emerging Leader for her outstanding contribution to advancing gender equity in physical activity and sport within the community. Mike Evans is the Community School Coordinator at Britannia and has coached girls basketball for over 30 years in Vancouver. His Bruins Senior Girls has made the Vancouver City playoffs and AA Lower Mainlands for the past 10 years as reigning City and Lower Mainland Champions 2010-2012. 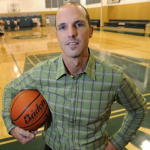 Mike has been recognized with the HSBC Lifetime Achievement Award for Coaching and most recently Basketball BC’s High School Coach of the Year Excellence Award after winning the 2012 AA BC Championship title. 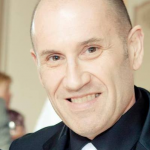 Jim Ion began teaching in 1985 and has taught at Jamieson, Britannia and Waverley Elementary schools in Vancouver. He has coached basketball at the elementary level since 1987 and is currently coaching at Norquay Elementary. 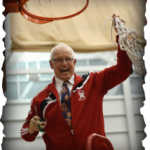 Jim has coached high school basketball at Killarney Secondary (1995 – 1998) and at Britannia Secondary (2005 – 2009). He was the vice-principal at Tecumseh and Moberly Elementary from 1995 to 1998 before a five year stint at Queen Elizabeth Elementary as their principal from 1998 to 2003. Currently, Jim is currently at Queen Alexandra Elementary and is a strong believer of John Wooden’s Pyramid of Success. David Prissinotti is currently the Athletic Director, coach and Sr. Social Studies Head at York House. Began coaching girls basketball at Lord Byng (1992-1996) then started coaching at York House in 1997. Took the York House Tigers to the 1999 AA BC Championship title and continued to coach the Sr. Tigers until 2004, winning BC titles in 1999, 2002, 2003. Continues to coach various levels at York House. A member of the BCSSGBA Executive since 1996 and the position of AA Rep on the Executive since 2001. 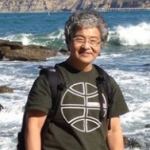 Ron Suzuki is an avid supporter of east side girls’ basketball in Vancouver. His Strathcona Community Center currently runs program for over 300 girls and boys from Grade 4 to 12. He can usually be found on the sidelines of basketball games cheering on the girls, while listening to his beloved Vancouver Canucks on Team 1080. Mitra Tshan has coached girls’ basketball at different levels since 1997. She is currently involved with basketball through VSB Athletics, Britannia Basketball, Strathcona Basketball, Night Hoops and Basketball BC. As a coach, Mitra firmly believes that “the more things we can get kids to do correctly off the court, the more they will do correctly on the court.” Mitra has been recognized with the Investors Group Volunteer Sport Adminstrator Award, Basketball BC’s Mary Campbell Award and ProMotion Plus’ Bobbie Steen Legacy Foundation Award.